The RSS-affiliate has been trying to bring the public sentiment to pressure the Centre into an early decision on the contentious issue even as the Centre has clarified that it would wait for the judicial process to finish. Prayagraj: While one Dharma Sansad has gone ahead and announced the date of construction of Ram Temple, the Vishwa Hindu Parishad (VHP) is beginning its own two-day religious congregation at Prayagaraj today. 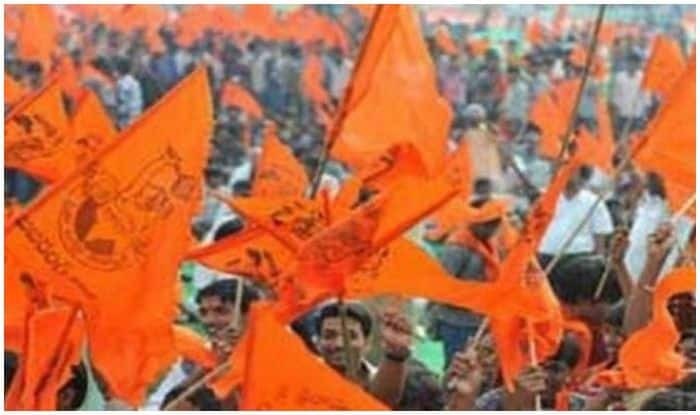 VHP’s religious congregation is expected to be attended by over 5,000 saints who would deliberate upon methods to expedite the construction of Ram temple in Ayodhya. RSS chief Mohan Bhagwat will attend the congregation of as well. Uttar Pradesh Chief Minister Yogi Adityanath is also slated to visit Prayagraj to meet Bhagwat in the backdrop of the Dharma Sansad. Adityanath will meet prominent saints, including the Shankaracharya of Puri, Swami Nishchalanand. On Wednesday, Swami Swaroopanand Saraswati had said, after a three-day meeting, that the foundation stone of Ram temple would be laid on February 21. He added, “We are not violating any order of the court. Until the high court’s order is quashed by the Supreme Court, it is still applicable. Wahan Ram Lalla virajman hain, wo janmbhoomi hai (Ram lalla is there, it is His birthplace).” The swami said nothing would deter them; not arrests or any kind of obstacles. Some development is being reported on the Ayodhya front ever since the Government approached the Supreme Court for permission to restore the “excess” land surrounding the disputed area in Ayodhya to Ram Janambhoomi Nyas. The Government, in a petition, sought direction for releasing to the Nyas 67 acres which it had acquired about two-and-a-half decades back, leaving 0.313 acres of the disputed area untouched.